Summer Special for Kids Skate Free Members 2 For Tuesdays 12pm to 4pm Every Tuesday June 4th thru Aug 6th. 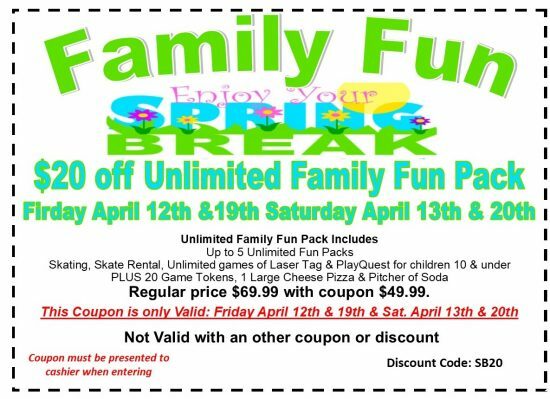 Get an additional Free Attraction when you use your Kids Skate Free Pass choose either PlayQuest or 1 Game of Laser Tag. Kids Skate for FREE Summer Fun!! Join our Kids Skate Free Program for Kids 10 yrs & under.